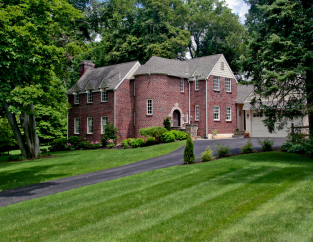 One of the most admired homes in one of T/E's most sought-after neighborhoods. Expanded & extensively renovated in '06 under the direction of renowned Main Line architect Ann Ledger, this 5 bedroom, 4 bath home combines the grace & charm of an older home with an updated open floor plan & modern amenities: elegant formal living & dining rooms; gourmet kitchen w/custom cherry cabinets, granite island, stainless steel appliances & butler's pantry; sunny breakfast room & family room w/fireplace overlooking prof. landscaped yard w/perennials & mature plantings, tiered slate patio & Sylvan pool. Three floors of living space for an active lifestyle: finished daylight walkout basement with casual entertainment spaces, 5th bedroom and full bath. Set handsomely on almost 1 acre, estate fencing & stone work add to the elegance of this lovely home.